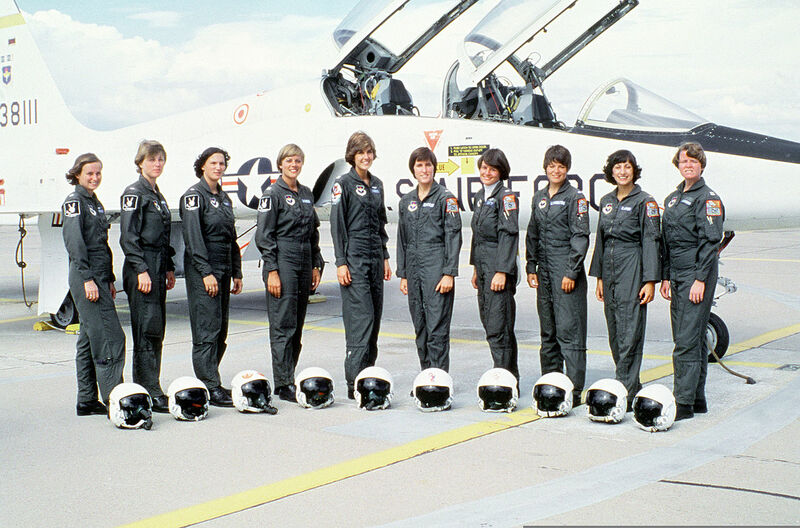 2 May 1977: First Lieutenant Christine E. Schott, USAF, was the first woman in the Air Force Undergraduate Pilot Training Program to solo in the Northrop T-38A Talon at Williams AFB, Arizona. She was a member of Class 77-08, which entered on 19 September 1976. The ten women in this photograph, along with their 36 male classmates, received their Silver Wings on 2 September 1977. They are Captains Connie Engel, Kathy La Sauce, Mary Donahue, Susan Rogers and Christine Schott; First Lieutenants Sandra Scott and Victoria Crawford; Second Lieutenants Mary Livingston, Carol Scherer and Kathleen Rambo. 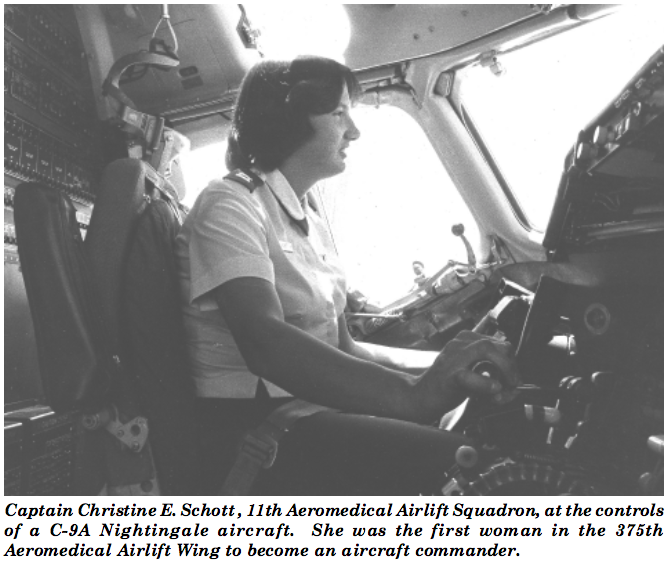 Captain Christine E. Schott would later be the first woman in the Air Force to qualify and serve as an aircraft commander on the C-9A Nightingale medical transport. The T-38A is a two-place, twin-engine jet trainer capable of supersonic speed. It is 46 feet, 4 inches (14.122 meters) long with a wingspan of 25 feet, 3 inches (7.696 meters) and overall height of 12 feet, 10 inches (3.912 meters). The trainer’s empty weight is 7,200 pounds (3,266 kilograms) and the maximum takeoff weight is 12,093 pounds (5,485 kilograms). It has a maximum speed of Mach 1.08 (822 miles per hour, 1,323 kilometers per hour) at Sea Level. The Talon’s service ceiling of 55,000 feet (16,764 meters) and it has a maximum range of 1,093 miles (1,759 kilometers). 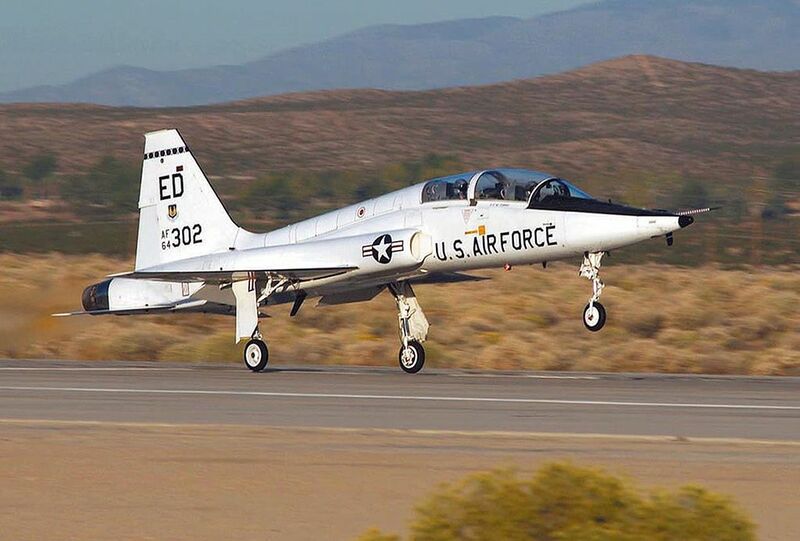 In production from 1961 to 1972, Northrop has produced nearly 1,200 T-38s. As of January 2014, the U.S. Air Force had 546 T-38A Talons in the active inventory. 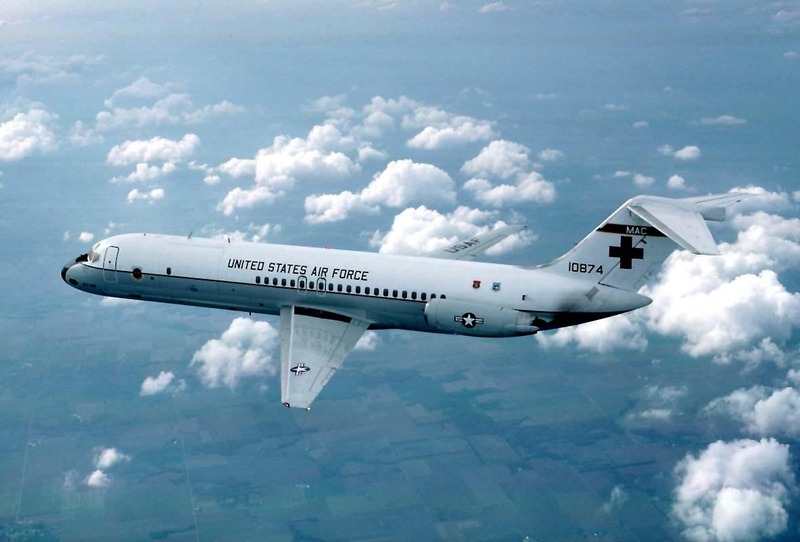 It also remains in service with the U.S. Navy, and the National Aeronautics and Space Administration.